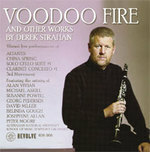 Voodoo fire : and other works / by Derek Strahan. Suite No. 1 for unaccompanied cello / by Derek Strahan. 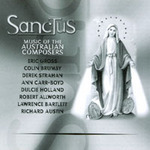 Sanctus : music of the Australian composers. 20 Nov 98: Uniting Church, Turramurra, Sydney. Featuring Georg Pedersen. Add your thoughts to the discussion of this work. Please note that this work - Solo Cello Suite #1, has been released on Revolve CVD RDS006 "Voodoo Fire and other Works by Derek Strahan".